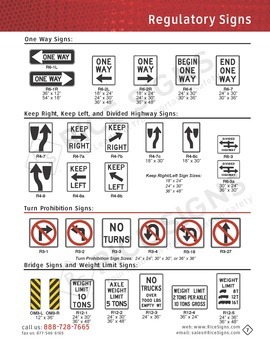 Buy Speed Limit Signs. 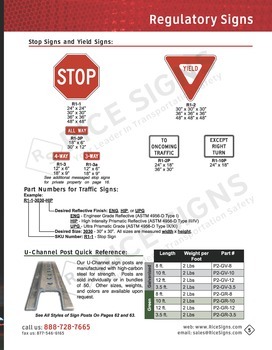 Rice Signs manufactures speed limit traffic signs. 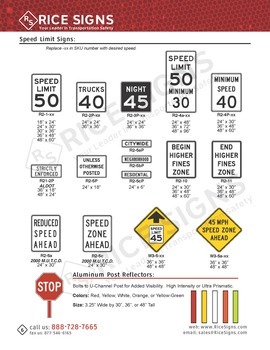 See Speed Limit Signs in our catalog on page 6. Speed Limit Signs have a white background color. The text and border are black. Speed Limit Signs are vertical rectangle shaped. 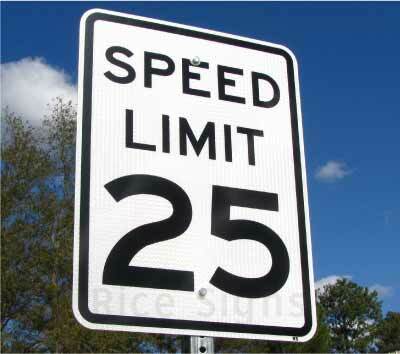 Pictured is our 18"x24" Speed Limit 25 traffic sign with High Intensity Prismatic reflective.